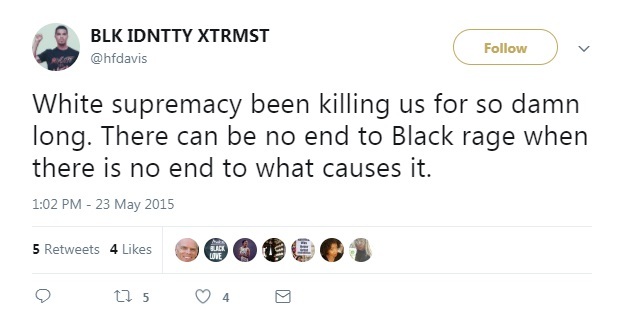 The University of Southern California is employing a self-described "black identity extremist" who says "whiteness" "must be, by any and all means, destroyed." Charles H.F. Davis, according to his bio, is an "assistant professor of clinical education at the Rossier School of Education at the University of Southern California and chief strategy officer and director of research at the USC Race and Equity Center." 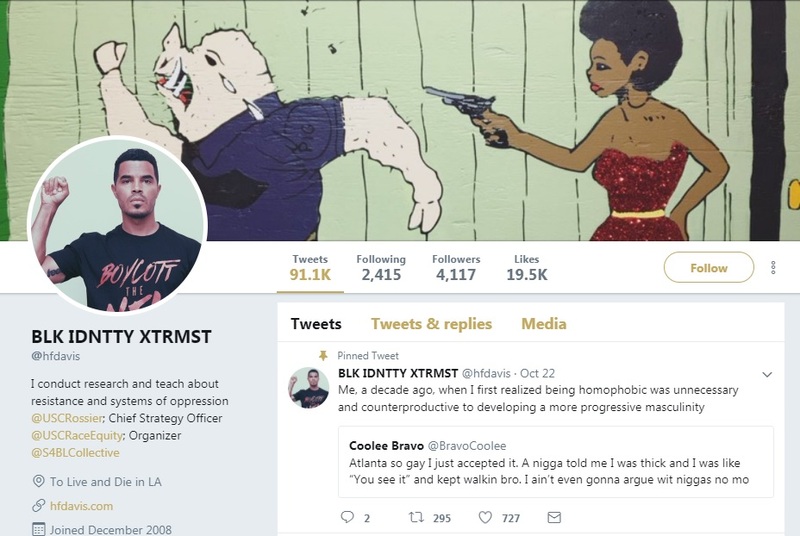 A look at his Twitter profile shows it's filled with anti-white racial hate and glamorizes the murder of police. 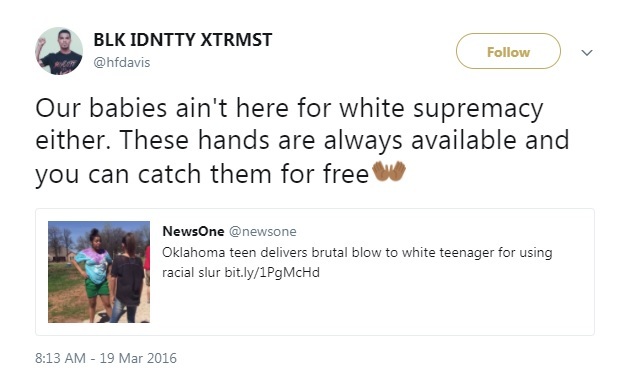 H.F. Davis's profile features a picture of himself doing a black power salute and his background image is an excerpt from an extremely graphic black panther comic book which shows a black woman threatening to shoot a white "pig" with a gun. 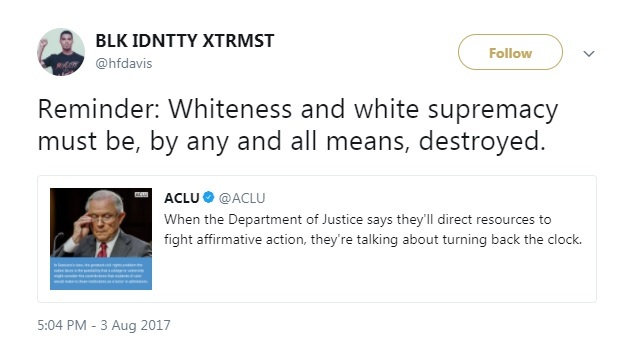 Earlier this year, H.F. Davis said, "Whiteness and white supremacy must be, by any and all means, destroyed." 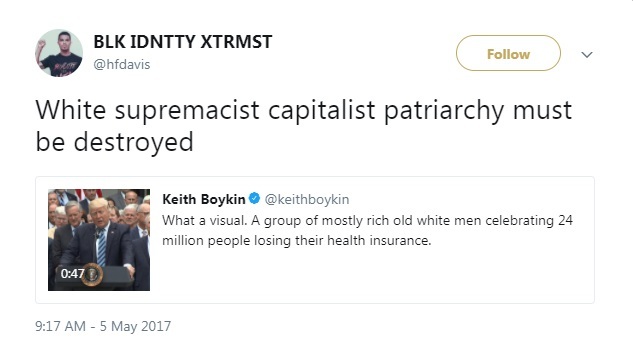 What does "destroying whiteness" entail? 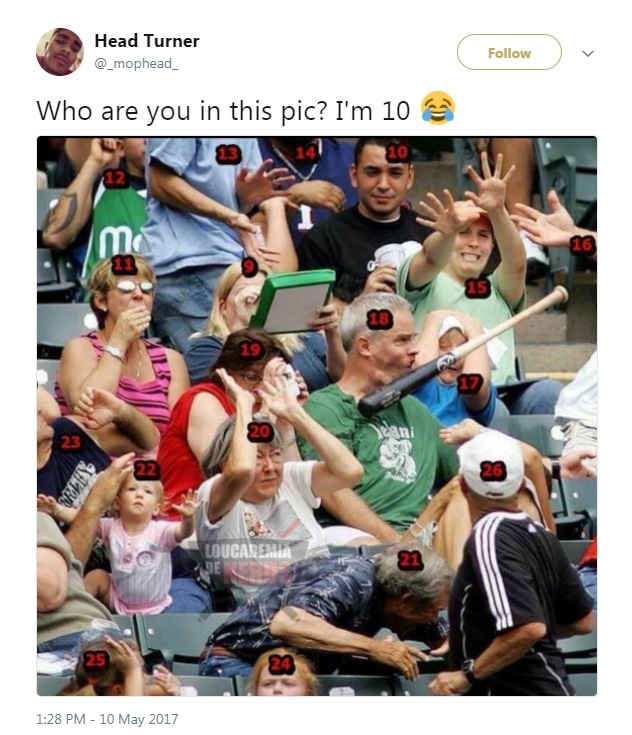 Look no further than H.F. Davis's tweet praising "white genocide" professor George Ciccariello-Maher. Ciccariello-Maher said late last year that all he wants "for Christmas" is "white genocide." 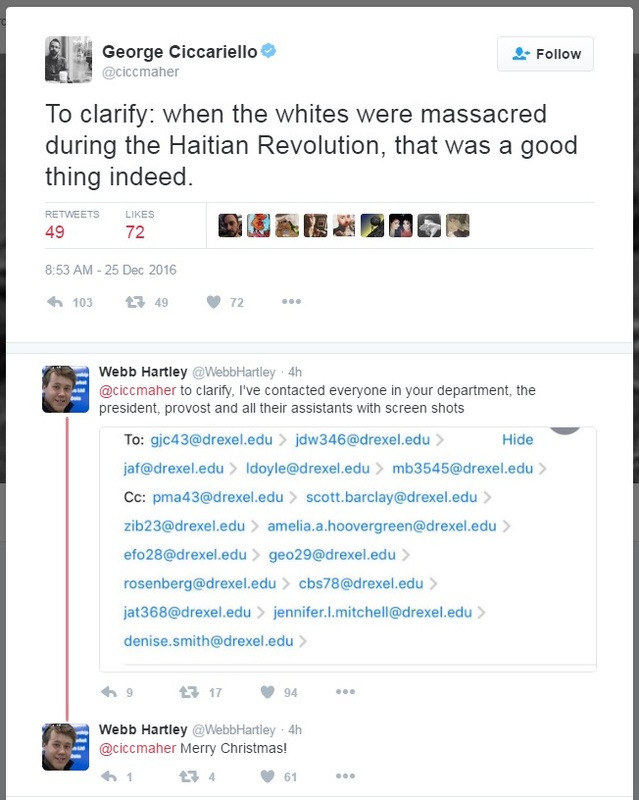 Ciccariello-Maher clarified his statement by saying that the massacre of whites during the Haitian revolution "was a good thing indeed." 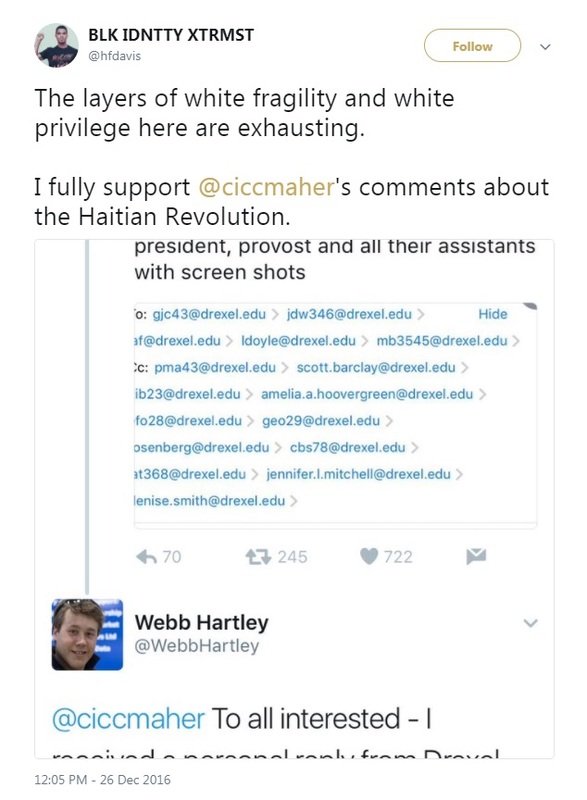 "I fully support @ciccmaher's comments about the Haitian Revolution," Charles H.F. Davis said in response to the controversy on Twitter. 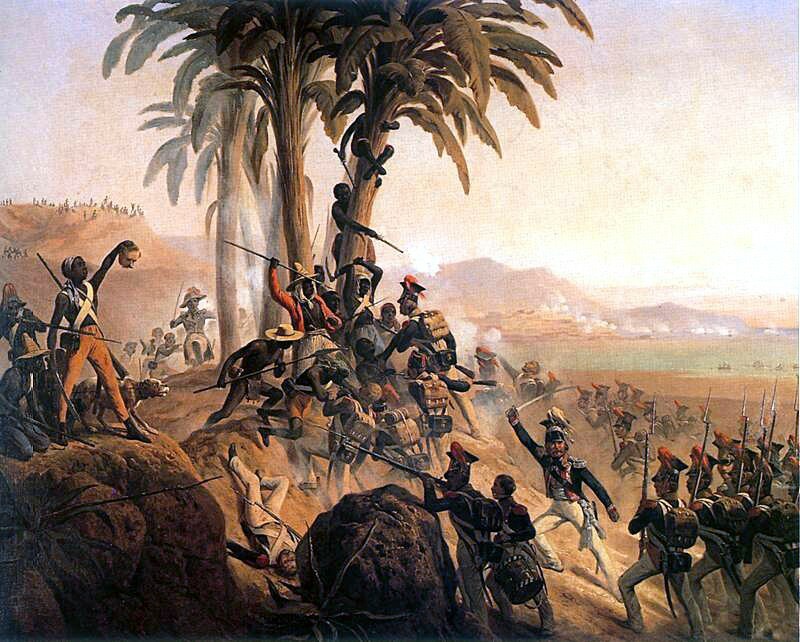 White women, children and men were massacred wholesale during the brutal Haitian revolution. 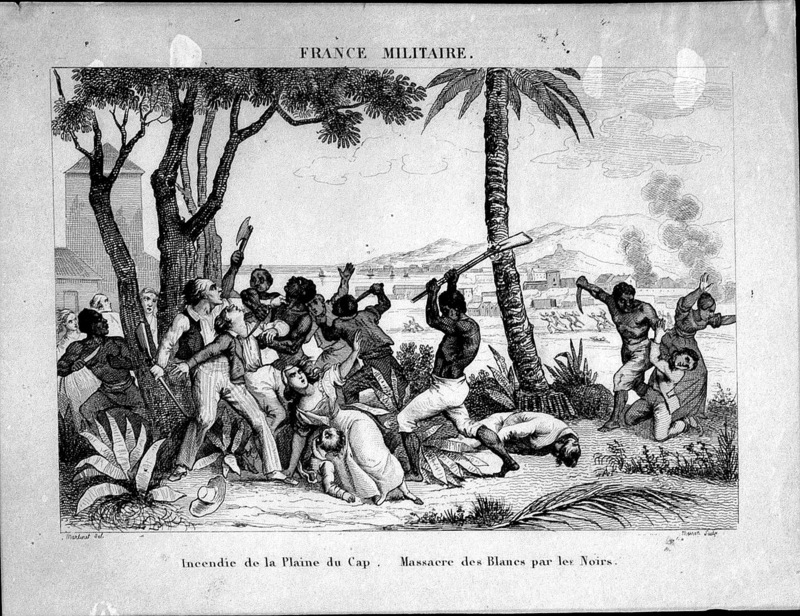 Mixed race "Mulattos" were also killed in like-kind. 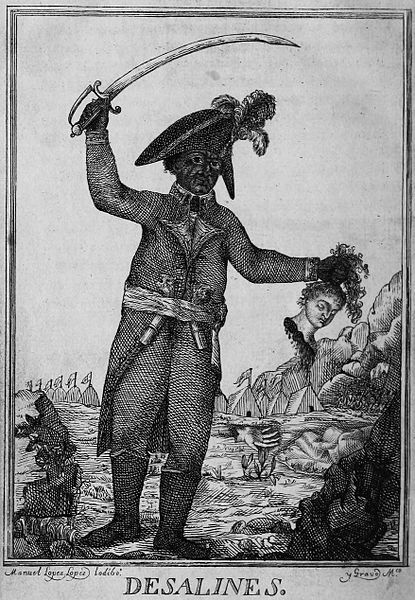 H.F. Davis "fully supports" the statement that "was a good thing indeed." 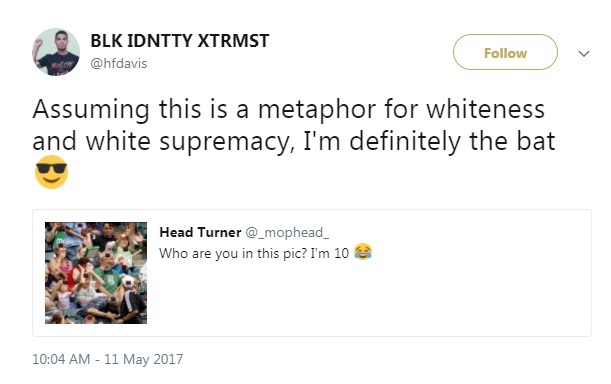 H.F. Davis doesn't just defend violence on Twitter, last week he wrote an article for Insider Higher Ed where he said that punishing protesters for disrupting conservative speakers reinforces "white supremacy." Charles H.F. Davis, a professor of education at USC, argued in an essay for Inside Higher Ed that punishing protesters contributes to white supremacy because it can unfairly �suppress and criminalize� students, especially in light of protesters� valiant goals. Students who protest �are disproportionately students of color and students representing other marginalized groups,� Davis noted. �Issuing a punishment, especially in these cases, is a clear form of criminalization by deeming protest unacceptable,� he added.